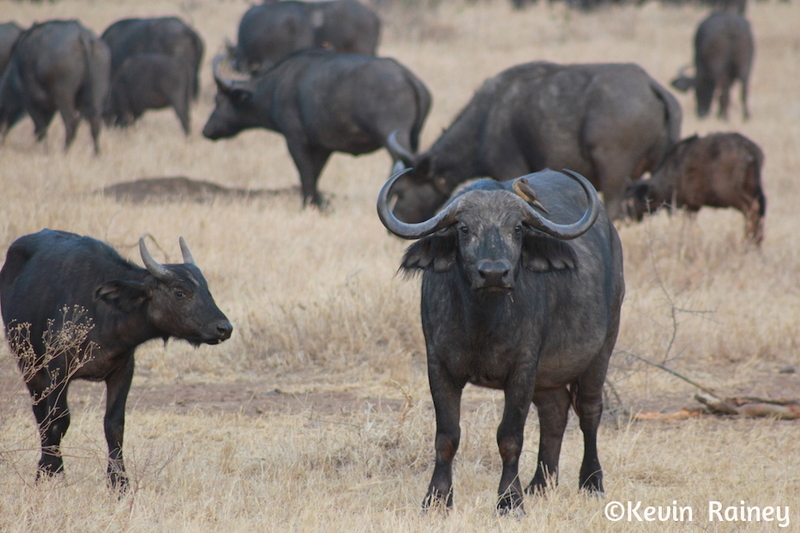 Today we hoped to hit the wildlife jackpot and actually see the Great Migration! We woke up early and prepared for a spectacular day in the northern Lobo area of the Serengeti near the Kenyan border. Leaving the lodge, we saw our first klip springer. We travelled west along the Tanzania border with Kenya and suddenly, we saw a tremendously large herd. It was the tail end of the Great Migration! We learned by radio earlier that the Migration was passing into Kenya, so we were really lucky to catch the tail end of it. 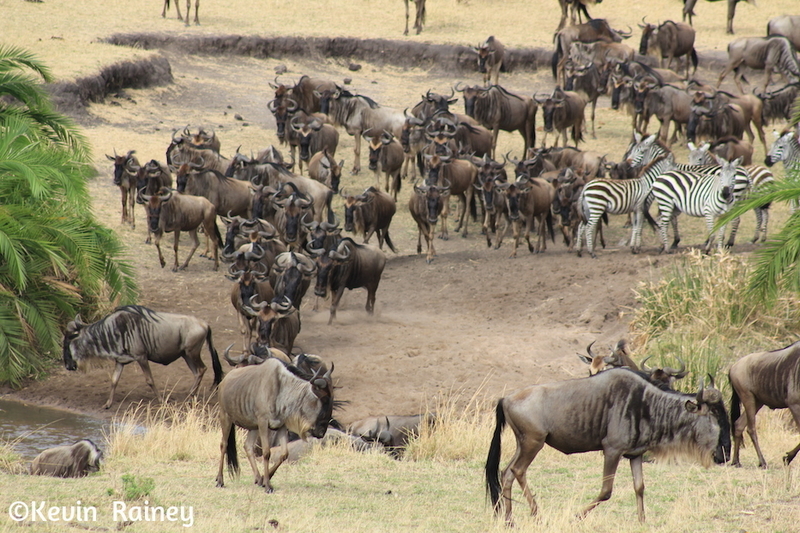 We saw several thousands of wildebeasts, impalas and zebras crossing a stream. We also gazed at lions, gazelles, elephants and giraffes. Literally, it looked like we were watching Animal Planet or the Discovery Channel in living color before our very eyes! It was absolutely stunning how large the herd was. We were the only ones around, which made it that more special. 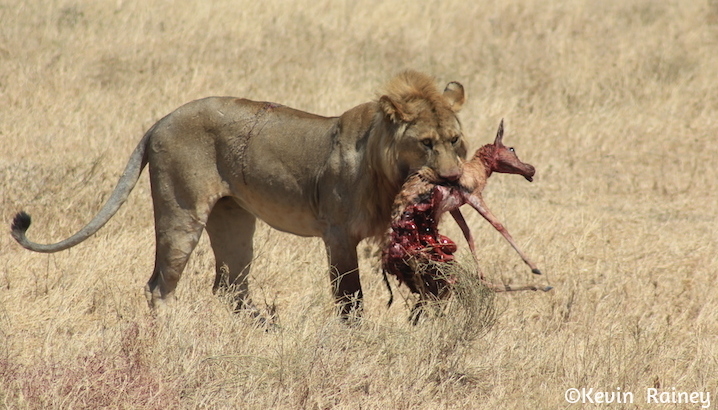 Our photos and videos turned out great and we even saw a few lions ambush and kill their prey! It was bloody and not for the faint of heart, but it was interesting to witness the natural selection taking place in front of us. It was a pleasure to see a natural migration that has been taking place for hundreds of thousands of years. Afterwards, we took the long drive back across the Serengeti to the Ngorongoro Lodge. We had a brief pause from driving across the expanse of grassland savannah to visit an ancient musical rock and cave drawing site used by the Masai. That evening, we arrived at the Ngorongoro Wildlife Lodge, dramatically perched on the rim of the crater. During dinner, we drank in unbelievable views of the crater floor plunging down from 7,500 feet above sea level. The lodge is elegantly built from natural stone and local wood, harmoniously merging with its natural surroundings, with panoramic windows offering views of the crater’s great bowl. The terrace dining view had to be one of the most dramatic overlooks in the world. The crater is so vast, more about that later, and forms a natural habitat that is ecologically distinct from the surrounding areas. It marked our final buffet dinner. We all agreed that John would present our tips to Emil and Joseph. After covering about 125 on our seven-hour drive, we were a little beat up from the Africa dirt roads. We would sleep well tonight!